Kid’s Stuff hosts AWESOME birthday parties in the Kid’s Stuff Gym on Saturdays and Sundays from either 2:00-4:00pm or 5:30-7:30pm. 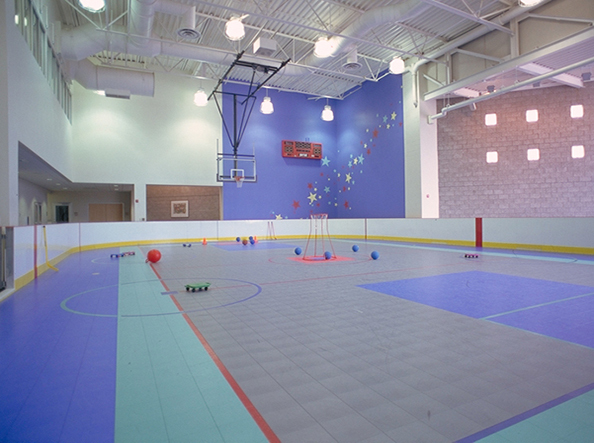 Your celebration will include a mix of structured games and “free play”, basketball, floor hockey, scooter races, parachute play and more! We have a giant 40- foot inflatable obstacle course suitable for all ages – and a rock climbing “treadwall” that can be incorporated into parties where all participants are 8 years or older. 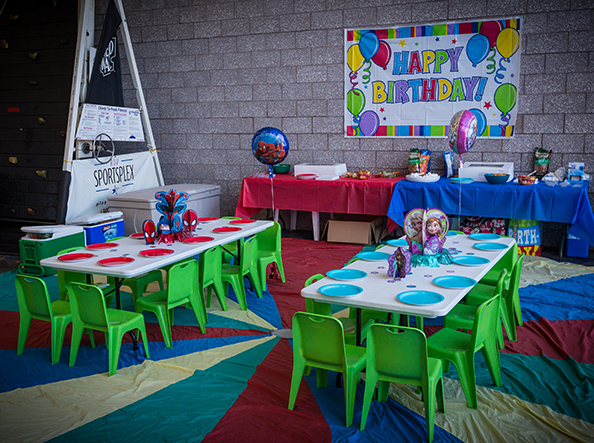 Both party packages include tablecloths, decorations and activity leader(s). We guarantee fantastic PHYSICAL FUN! Looking for something different? Check out birthday parties in the RDV Ice Den!